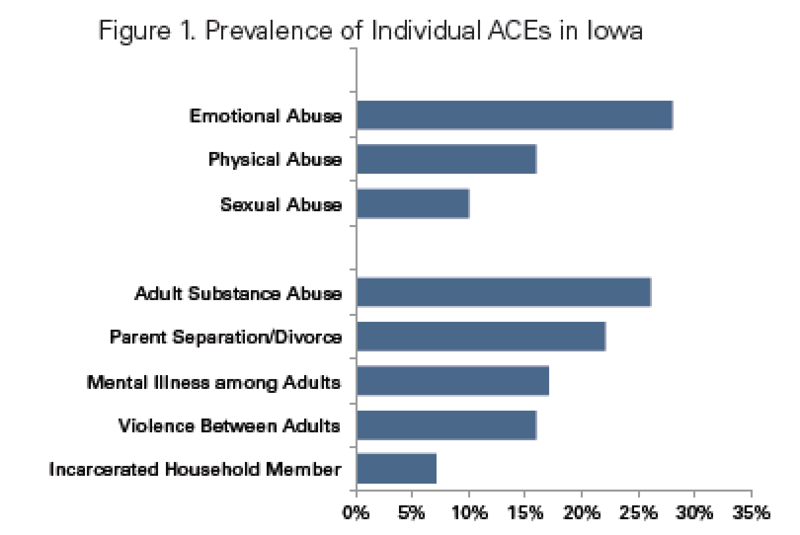 Among the many interesting graphics in the report was one that showed how 5 out of every 30 students in an Iowa classroom live with a parent who has an ACE score of 4 or more. Children who live with parents who have high ACE scores may be living in situations of toxic stress; the kids’ behavior — acting out, withdrawing, etc. — may indicate their own normal response to toxic stress. 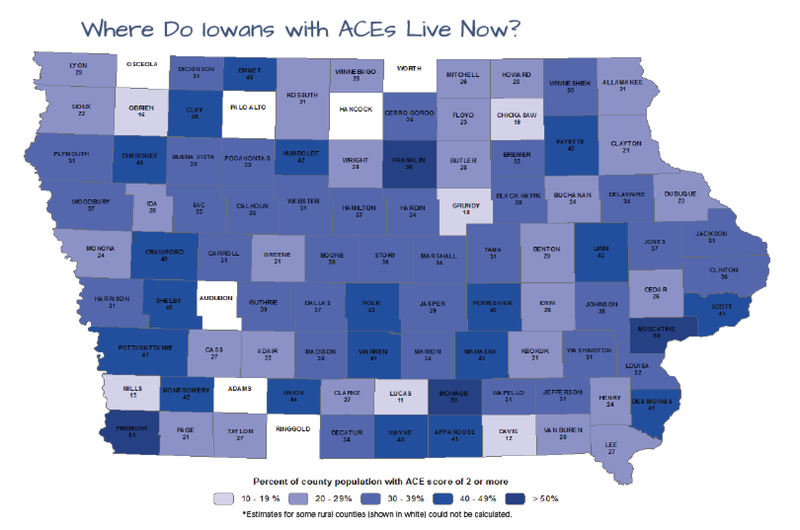 The state also provided a county-by-county breakdown of ACE scores, shown at the end of this post. 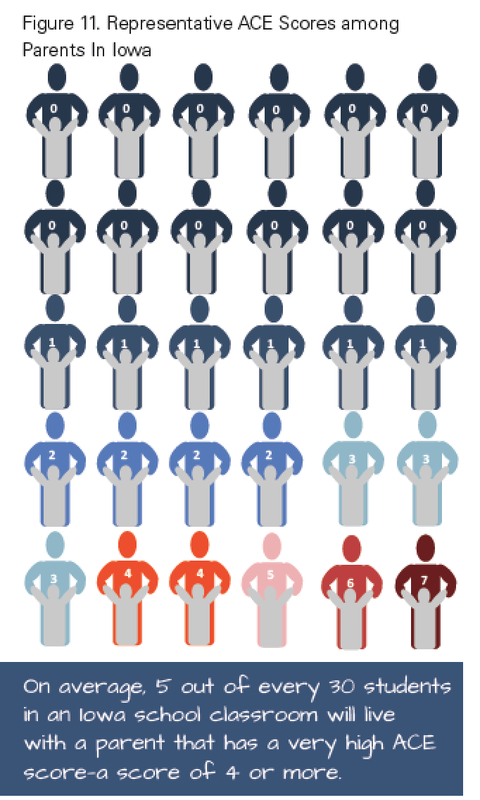 The state’s results were similar to ACE surveys in Wisconsin, Arkansas, Louisiana, New Mexico, Tennessee and Washington. 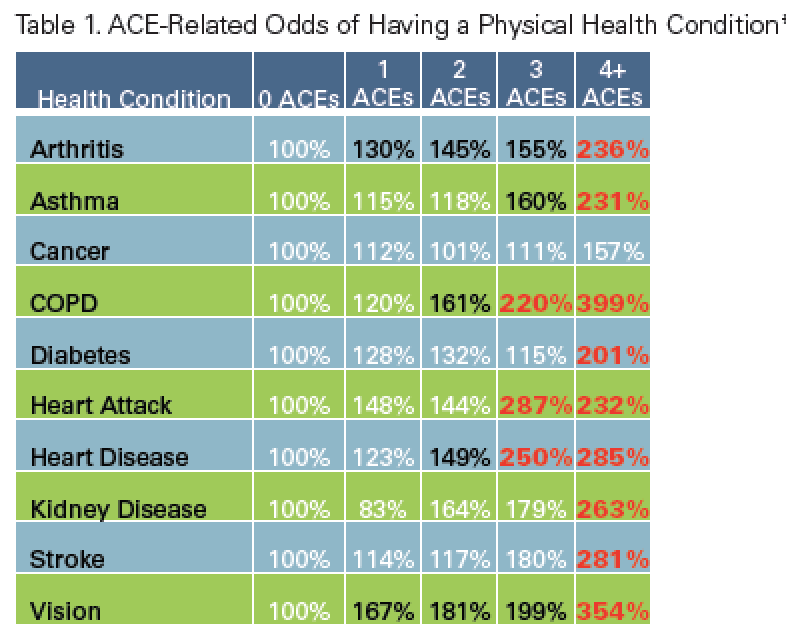 To date, 21 states have done or are doing ACE surveys. 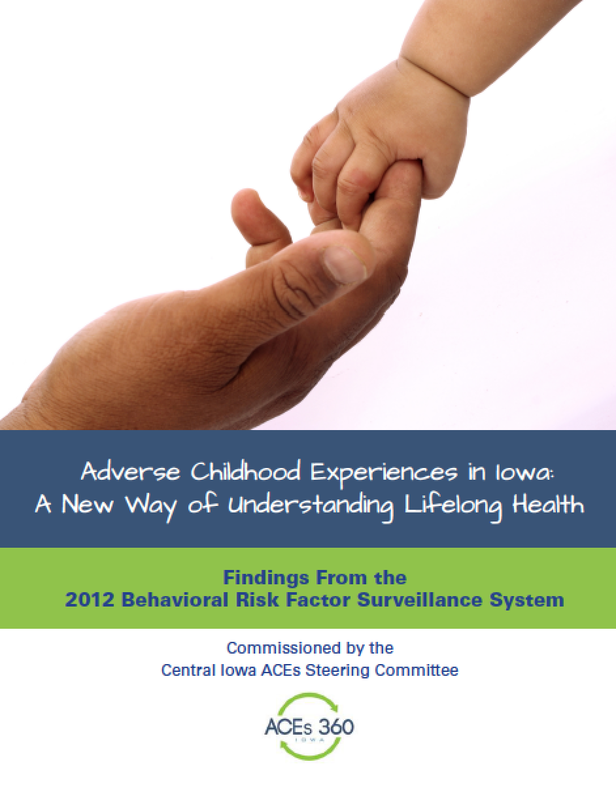 Details of the data are being presented at the 2013 Iowa Adverse Childhood Experiences Summit today in Des Moines. We’ll have more information about the summit in a later blog post.